Mark Kanemura performed a jazz number with Courtney Galiano Wednesday. Even though crowd favorite Mark Kanemura was eliminated from Fox's "So You Think You Can Dance" last night, his impressive journey to the last two episodes of the season earned the respect of critical judges and a place on the show's national tour, which begins Sept. 20 in Tacoma, Wash. Dancing among the final six dancers Wednesday night, Kanemura and partner Courtney Galiano danced a Viennese waltz to "American Idol" winner David Cook's "Time of My Life." One judge said she thought Kanemura had "been growing every single week." Their second number was a dark, unorthodox jazz dance to "The Garden," a song by Mirah. Judge Mary Murphy described it as "crazy, raw, interesting, the weirdest fight scene I've ever seen, and I loved it!" Kanemura, a Castle High School graduate, executed some fancy moves with a baggy tank top for his solo to Robyn's "Bum Like You." Still, he was voted off, along with Chelsie Hightower. The Top 4 - two men and two women - perform Wednesday. The winners will be announced Aug. 7, after Fox officials tally public votes from the previous night's dances. 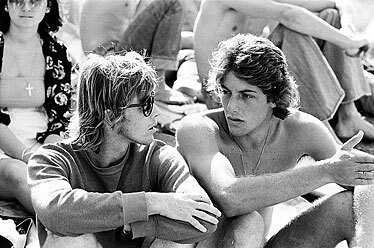 Shaun Tomson, right, made the surfing documentary "Bustin' Down the Door," featuring stars such as Wayne "Rabbit" Bartholomew. "Bustin' Down the Door," a surfing documentary from former world-champion surfer Shaun Tomson, opens to the public for at least a weeklong run beginning today. Dates, screenings and star appearances have changed a couple of times, so here's the latest: Fans who get tickets early have the opportunity to take part in a question-and-answer session with Tomson before the 7:05 showing tonight at Regal Dole Cannery. The film features the history of modern-day surfing. For a recent Star-Bulletin interview with Tomson, visit starbulletin.com/2008/07/25/features/story07.html. For movie times and tickets, visit www.fandango.com. "Bodies .. The Exhibition" is on display in the exhibition space next to Nordstrom at Ala Moana Center. Military families and retirees are offered a military discount of more than 25 percent off regular admission. 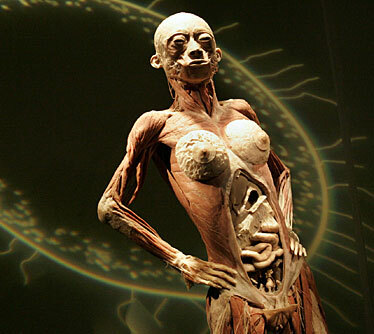 The exhibit provides a look inside the human body, through specimens processed by a polymer preservation technique. Regular ticket price is $26, $24 seniors, $18 children, $19 college students. Visit www.BodiesTickets.com. Shelby Chun Fat and Keith Spencer danced in "The Nutcracker" last year. Do not be alarmed, but Hawaii State Ballet would already like us to start thinking about Christmas. Discounted tickets for the dance troupe's production of "The Nutcracker" are available as a "Christmas in July" special through Aug. 16. Marking the Ballet Hawaii's 25th anniversary, tickets are offered for $15. Regular admission will be $18 to $29. Call 550-8457 or visit www.hawaiistateballet.com/tickets; use the promotion code "summer." This season's performance will feature Hawaii State Ballet's Junior Company, directed by John Landovsky, with shows Dec. 12 to 14 and 19 to 21 at Mamiya Theatre. 1st look exteriors premiers its vertical gardening system at the BIA-Hawaii expo. It's time to "Fall in Love Again ... with your Home," at the Building Industry Association of Hawaii's annual Remodel It Right Expo, today through Sunday at the Hawaii Convention Center. Going on its fourth year, the event features 150 exhibitors, including contractors, suppliers and building-industry experts. The Servco Home & Appliance Showroom will offer a look at the GE Profile wall oven, a 30-inch appliance that fits two ovens in the space of a single standard wall unit, allowing you to cook two dishes at different temperatures. 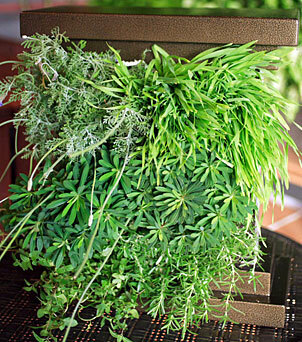 For something new in the home-decorating department, the firm 1st look exteriors brings vertical gardening indoors. This method allows herb gardens to be placed vertically, taking up less counter space than horizontal planters. The gardening system comes in many sizes and four styles. "Meet the Experts" sessions will feature discussions with experts on Saturday and Sunday afternoons. A free remodeling planning kit will be given to those who attend any of three "Remodel it Right" panel discussions. Expo hours are 5 to 9 p.m. today; 10 a.m. to 9 p.m. tomorrow and 10 a.m. to 4 p.m. Sunday. Tickets are $4; children free; $5 for a three-day pass; $1 seniors. Parking is $5 at the convention center. Discount coupons are available at www.biahawaii.org. The Halawa Xeriscape Gardens celebrates its 20th anniversary tomorrow with an open house and an "unthirsty plant sale" from 9 a.m. to 3 p.m. Highlights include guided garden tours, xeriscape workshops, keiki activities such as keiki garden planting and a "bag your own mulch" station. Attendees may also enter to win an "extreme xeriscape garden makeover" valued at more than $18,000. The garden is at 99-1268 Iwaena St. For information or a map to the location, visit www.boardofwatersupply.com or call 748-5041. Learn to transform your back yard into a source of fresh food for your family at Malama Learning Center's workshop on edible gardening, 9 to 11 a.m. Aug. 9 at Kapolei High School. Cost is $8 and space is limited. Registration is required at 343-9818 or e-mail info@malamalearningcenter.org.